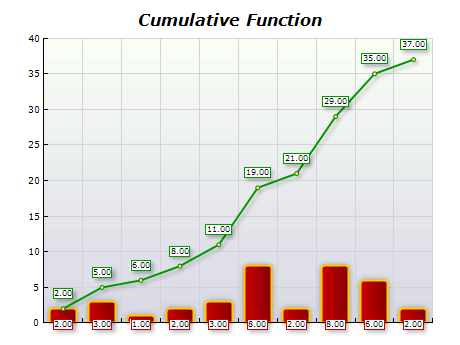 The Cumulative Function (CUMSUM) function calculates the cumulative sum of the elements in the input array. The Power Function (POW) rises each element of the first argument to the power defined by the second argument. This demonstration is power of 2 or square.